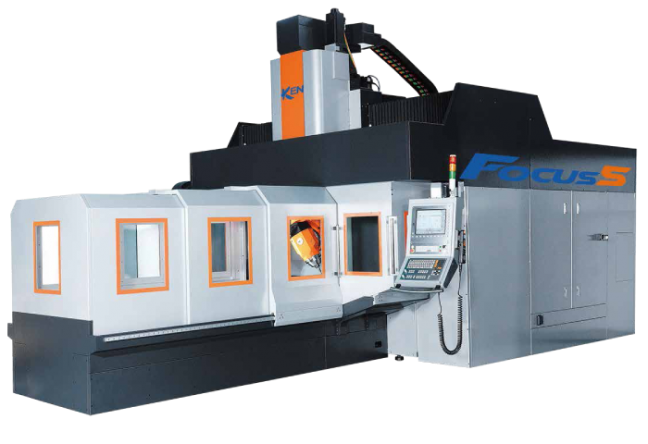 The Focus 5 is a high rigidity one piece column structure with linear motor drives. Direct-drive torque motor two-axis milling head. One-piece base and column with high rigidity, to show the best structural rigidity and stability of high speed cutting. European advanced FEM analysis and design optimisation for higher rigidity and response. Three-axis use high-speed and heavy-duty roller linear guideway achieves excellent high-speed cutting dynamic and long lasting accuracy.